Winter is fast upon us and outside of shooting, I’m trying to do one thing: Stay warm — especially with windchill here in Boston at 5º. What better marriage than Setwear’s line of products, tailor-made to assist with 4-season outfitting for the video professional. Setwear products are ruggedly made and built to last. 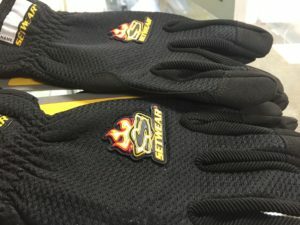 I use them in all capacities; whether I’m loading cases or rigging lights, Setwear’s EZ Fit Gloves are my go to especially when it’s cold out. 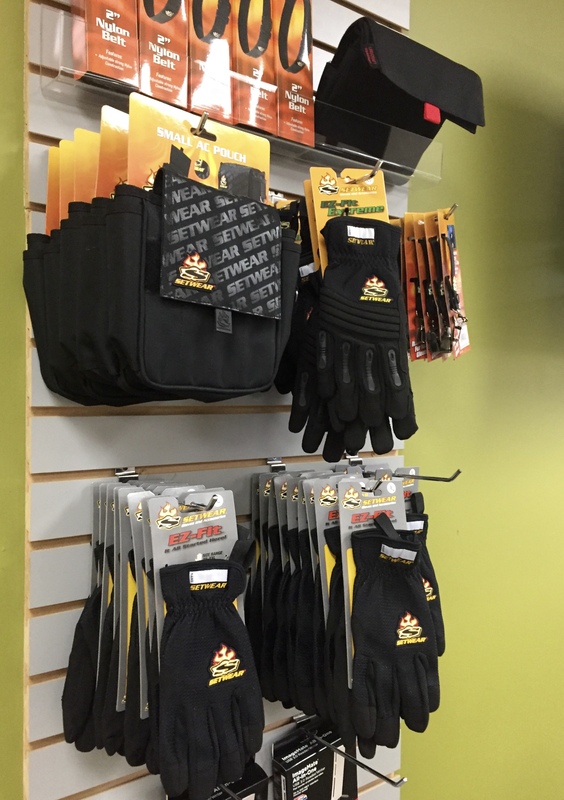 Stop on by and grab a pair! MōVI Pro: Boston, You Ready? Just when you thought that Freefly Systems had changed the stabilization game with the M15 — making a must-have, on-set production tool — they go out and do it again. Not just a major firmware update, new accessories, another type of handle, or iOS support, but all of this and an entire new system called the MōVI Pro! The team at Freefly went all in with the Pro and developed what I and other MōVI owners/operators have always wanted. 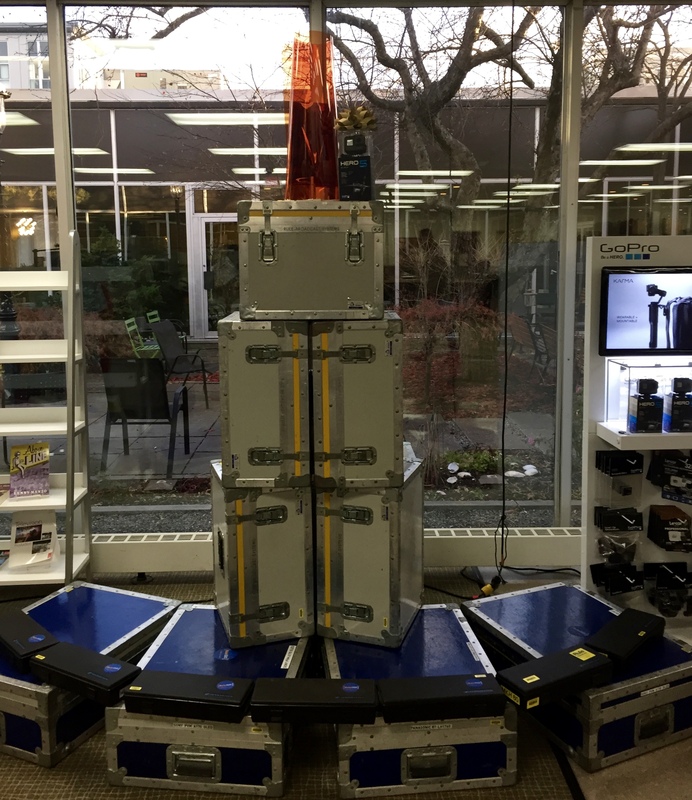 A few weeks ago, Freefly held a launch party at their headquarters, and I was lucky enough to attend. 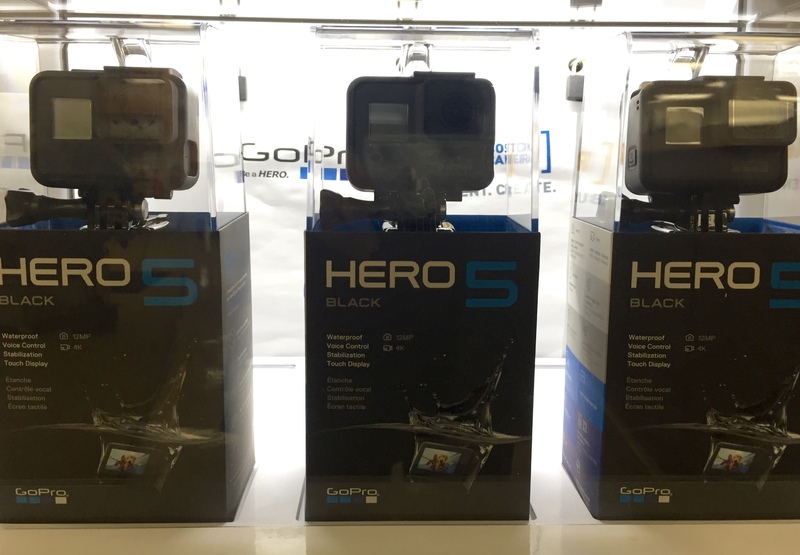 The minute I walked into the warehouse, I couldn’t wipe the smile from my face. 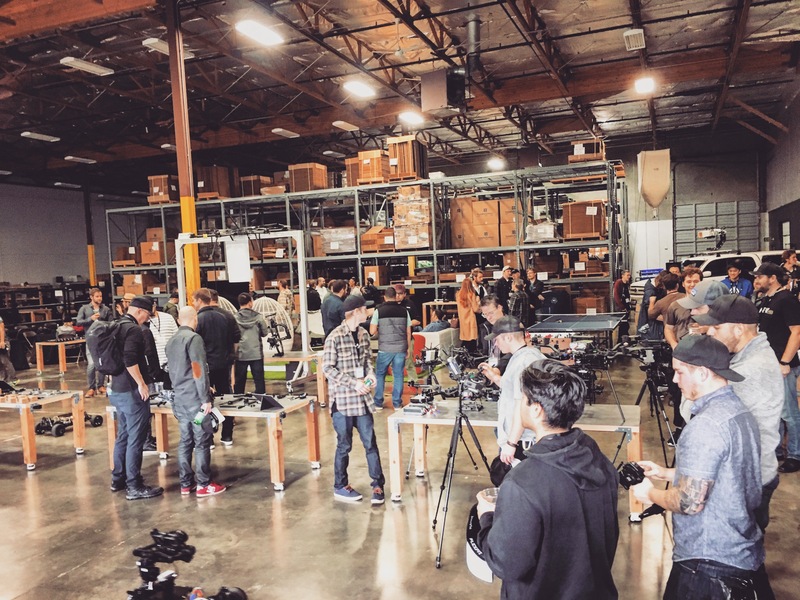 MōVI Pro, Alta 6 and 8, Jibs, Tero, XL, Mimic, Food, Awesome People, and Craft Beer. It was a great time! Immediately, I had to try-out the Pro and see what the deal was. I got my hands on a Pro with a RED Epic build consisting of focus and iris motors, wireless video, and a Canon CN-E lens. This is a pretty standard build when it comes to MōVI work, especially in Boston. It felt great, looked elegant, and responded with incredible accuracy. Let me explain a few new details that really make me geek out over the new MōVI Pro. always make sure that it’s ready to go with me on any job I’m on. Now, the Pro is integrated natively with the new style ring and it has FEET. How many times when on set have you thought, “I wish I could just put this thing down for 5 minutes?” Now you can do just that, and it opens up a new style of shooting as well. I know it may sound trivial, but it really is a huge factor in my opinion. Power Base: Yes, please! D-Taps for accessory power as well as camera power is the real “game changer.” Now, no need for an onboard battery to power your Epic or Mini. Power your focus/iris/zoom motors straight from the base. Future MōVI builds will look so much more elegant, and camera assistants will love the power integration when setting up for the job at hand. New Batteries: Enough said – hot swappable batteries with a 22.5v 1.8Ah rating are a dream come true. Let’s not forget they have battery life indicators on them. Big thanks! 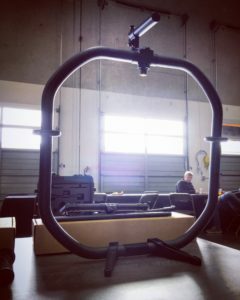 Control Screen: We now have the ability to tune and adjust the MōVI Pro directly on location with no need of a tablet or computer. Before I forget, iOS users rejoice! You can now run the app on your device. New Mimic: Beautiful design and capabilities. MōVI control options will make this a must-have for your camera assistant. 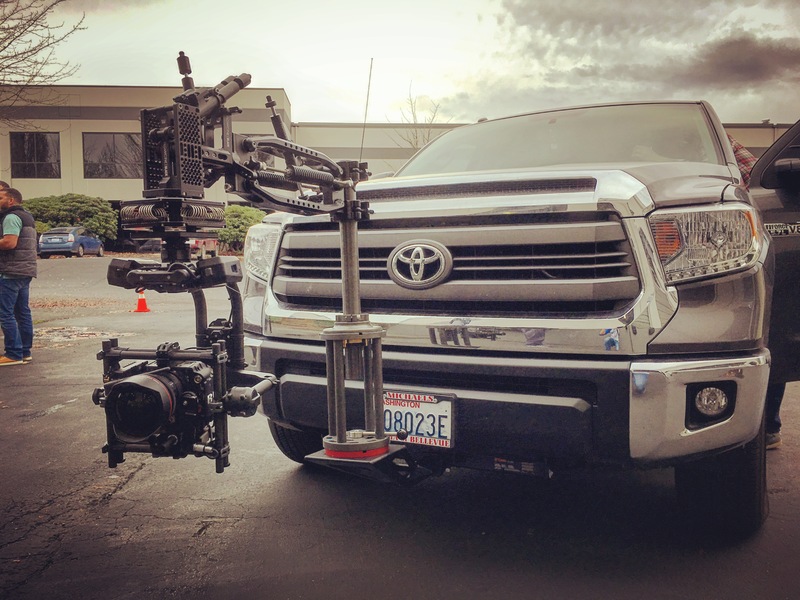 RED RCP: MōVI and RED builds have become even better. Directly from your Mimic controller, you can now adjust camera settings when the operator is doing their job. Say what?! Clamps and Mounts: It really is all about the little things. 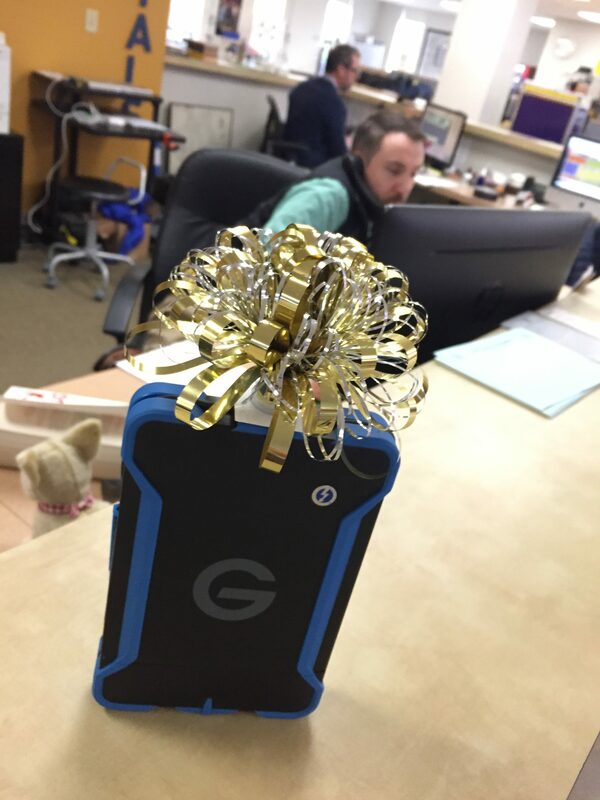 Now, with the new Pop-N-Lock system you can easily mount all your accessories that the job calls for. No more Velcro and Bongo Ties. After building many MōVI setups, this really excites me — just from an aesthetic view. New Design: Hidden cables, dual pan bar, slightly taller cage, and enclosed motors. These new changes are bringing better and stronger stabilization to all operators. As an operator, moving from an M15 (even M5) to the Pro will be a dream, and I see no major challenges (only sighs of relief). I still can’t get over the integrated control with RED cameras. This makes productions with this set up so much more streamlined and efficient. Let your operator get the shots that present themselves with literally no down time. 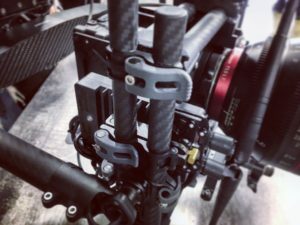 I hope for a future update from Freefly that opens this technology up to other camera manufacturers. As an M15 and ARRI Mini user, my fingers are crossed. Tabb and the crew at Freefly Systems really did an amazing job with their new product launch — from the brilliant and always exciting marketing (one of my favorite Instagram accounts), to their forward-thinking technology, and their ability to change the way we can achieve new shots — they are also gracious hosts (Sumerian Brewery is amazing). I thank you very much (yes, I’m a fan boy). Interested in buying or renting the MōVI Pro or other Freefly motion tools? Click here to email us or call 800-rule-com. As my second holiday gift pick for the technically-inclined, I’ve chosen the 1TB G-DRIVE ev ATC Thunderbolt from G-Technology. Not only is the drive water, pressure, dust, and shock resistant up to 6.6’, it can float, and endure water submersion in up to 1’ for up to 30 seconds. Equipped with a rotational speed of 7200 rpm, and data transfer speeds up to 136 MB/s, this drive is highly capable of performing multiple functions. It comes pre-formatted for Mac, but can be easily re-formatted for Windows. 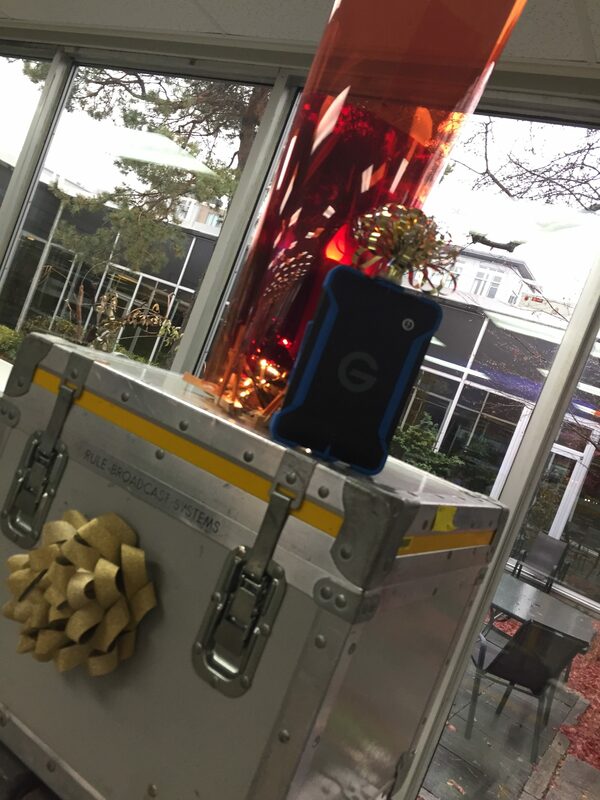 Just like last week’s GoPro HERO5 Black, you’ll find this week’s pick up on our giant “holiday candle” in our Production Outfitters expendables store. Feel free to get in touch with any questions. Thanks.